Accrington Stanley Community Trust are recruiting temporary autumn staff for the roles of NCS Team Leader (2 vacancies) and NCS Assistant Team Leader (2 vacancies). We are looking for passionate individuals who are ready to build up their experience with a demanding role as part of an intensive summer NCS programme. This role is suitable for a dynamic and confident person with experience of working with groups of young people, and who is able to both motivate them and command their respect. NCS is a once-in-a-lifetime opportunity open to all 16 & 17 year olds in England that helps them build skills for work and life, whilst taking on new challenges and meeting new friends. 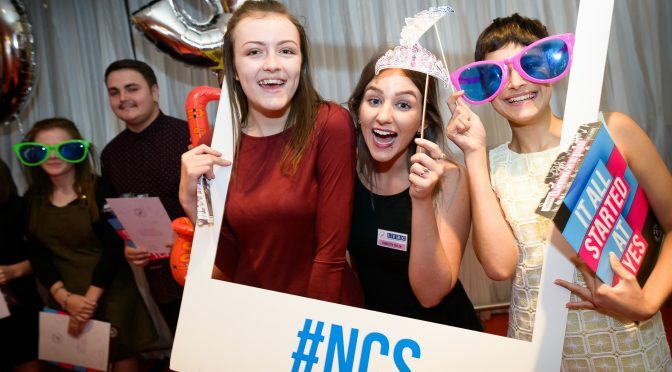 The groups are composed of approximately 12-15 young people and the leader will be expected to work under the direction of the NCS Officer and assist with the pastoral care and support the development of the young people. Previous experience would be welcome but is not essential. This role would be suitable for anyone interested in youth work who may wish to develop their skills and expertise in this area as well as benefiting from this experience. Lead, inspire and take responsibility for the pastoral care for a group of participants, ensuring their safety and assisting their personal development throughout two weeks residential. Lead by example and get involved in outdoor and community volunteering activities, keeping the group motivated at all times. Work as part of a larger team of staff to support the planning and delivery of a Social Action Project. Work with and support all other staff to deal with any challenging behaviour from young people. Ensure that appropriate safeguarding, health & safety and other relevant policies are implemented and followed. Provide support to staff and young people in a variety of settings to ensure that they have a positive NCS experience. Successful candidates are required to attend 3 training workshops in advance of the programme commencing – the training is mandatory and the salary includes payment for attending. The post holder must be aware of equality and diversity principles and comply with the ASCT equality and diversity procedures. All staff are responsible for the implementation of the health and safety procedures so far as it affects them, their colleagues and their team. The post holder is also expected to complete all risk assessments for their team’s activities and ensure the safety of the young people and staff within their team throughout the programme. Phase 1: Outdoor pursuits residential – Meet at Accrington Academy 09:00am Monday 1st October 2018 away at Dearne Valley, Doncaster, returning Friday 5th October 2018 approx 1:00pm. Here you will be monitoring young people’s behaviour whilst they are participating on activities and monitoring nights. Phase 2: Community Action Planning – 09:00am -17:00pm Sunday 8th October (at Accrington Stanley Football Club), Monday 9th October, and Tuesday 10th October 2018 at Accrington Academy. Here you will deliver sessions to your team as well as monitoring behaviour when your team has speakers/ activities. Phase 3: Social Action deliver – 15 hours of group project work. To either raise money for a chosen charity, raise awareness of local issues or regenerating public spaces. Phase 4: Graduation. Date TBC. Pay per full day: £75.94. NEXT Next post: Get Your KICKS!